OnePlus 5 is currently the hottest gossip among tech enthusiasts. The successor of the OnePlus 3T does come with some commendable specifications like dual camera setup and the Snapdragon 835 SoC. That too with a price tag which is just 10 percent higher than its predecessor. Coming to the exteriors, the OnePlus 5 seems to have taken lots of unwanted inspiration from the Apple iPhone 7 Plus. However, the former blatantly misses out the water resistance part. But, apart from that, is the OnePlus 5 as durable as the last generation OnePlus devices? Zack Nelson, the founder of JerryRigEverything seem to have the answer. 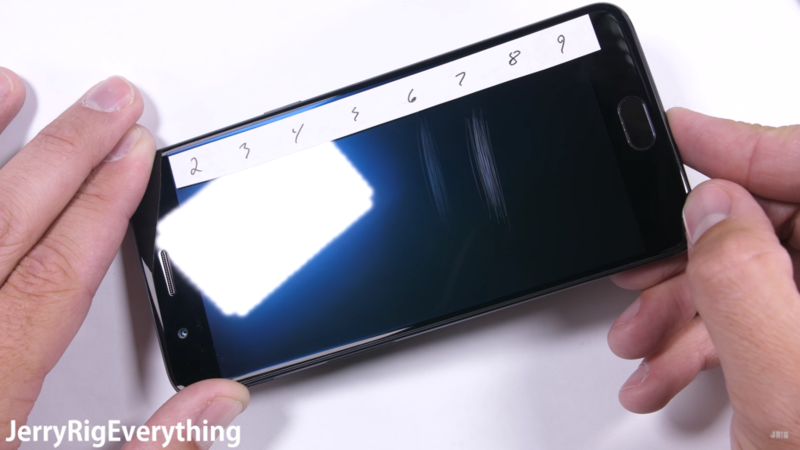 For starters, Zack demonstrates the resilience of popular smartphones at his YouTube channel named JerryRigEverything. Starting from scratch, he has gradually become immensely popular among smartphone buffs. The OnePlus 5 is newest the candidate for Zack’s durability tests. Even before the start of the testing process, the OnePlus 5 gained the appraisal for its solid feel in hand. The first thing Zack does is test the scratch-ability of the screen. He calculates that in the Mohr’s scale of hardness. The Gorilla Glass 5 toting OnePlus 5 fared as good as other flagship devices in the abrasion test. The phone started to get graze marks only from the level 6, which is the current standard of premium scratch resistant glasses. This means, your OnePlus 5 is safe from any metallic sharp objects like razor blades or keys. However, sand particles and diamond can leave a mark. The ceramic fingerprint sensor sum home button borrowed from the OnePlus 3T is pretty much indestructible. The Gorilla Glass 5 rightfully covers the selfie camera of the OnePlus 5 too. This eradicates the chance of scratch marks on it. The metal earpiece also speaks quality. Moving on to the back, the rear camera aperture is covered with standard scratch-resistant glass and not sapphire like the older OnePlus 3 or 3T. Also read: OnePlus 5 – Is The 10% Increase In Price Justified Or Is It Too Costly? The OnePlus 5 does feature a full metal build which adds up to its premiumness. The anodized aluminum does get scratched with sharp razor blades, but quite of immune to daily objects like coins and keys. The SIM card tray, home and volume buttons including the silent mode slider are carved out of high-quality metal. Next, we come to the burn test. The Samsung-made AMOLED screen of the OnePlus 5 took a whopping 40 seconds to show damage signs after being exposed to direct flames. Unfortunately, unlike LCD panels, the OnePlus 5’s display did not recover from the injury. Lastly, Zack tries to bend the device. The back panel got a bit detached when the phone was folded concavely towards the screen. But, surprisingly, it was reset perfectly when Zack bent the OnePlus 5 in the opposite direction. This phenomenon happened due to the rear cover was not glued to the main frame of the handset. 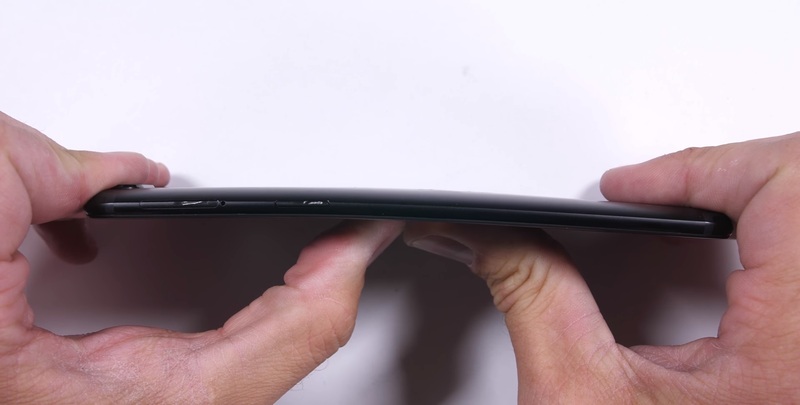 Nevertheless, the OnePlus 5 did emerge as a winner in the bend test!